The bakers at St John Kanty have been busy in Kanty’s Kitchen mixing up sweet treats for your enjoyment over the coming holidays. 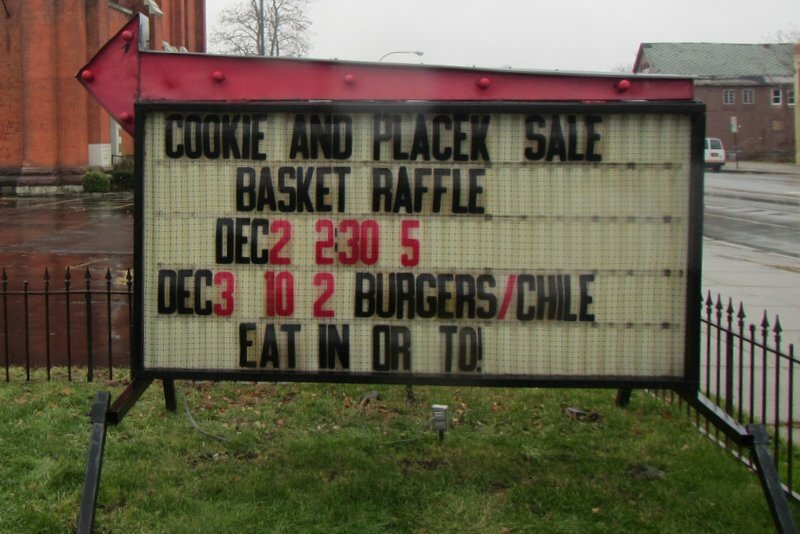 They will have cutout cookies, peanut blossoms, chocolate chip, Mexican wedding cakes and more in addition to placek. The sale will take place on Saturday, December 2 between 2:30-5pm and Sunday, December 3 between 10am and 2pm in the parish’s kitchen located in the former school building. On Sunday only, they will be serving BBQ ‘burgers and chili, eat in or take out. There will be many nice gifts in our basket raffle, too. Stop by for Mass: Saturday at 4pm or Sunday at 10:30am. Saint John Kanty Church is located at the corner of Broadway and Swinburne in East Buffalo.